Nintendo has shared a new interview with Jared Moldenhauer, the co-creator of Cuphead. Moldenhauer weighed in on what inspired the making of the game, the well-known art style, and more. How would you describe Cuphead in your own words? 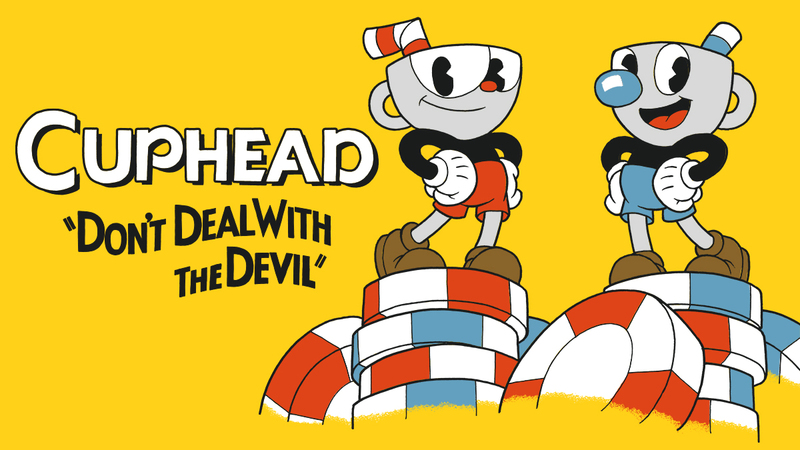 Cuphead is a homage back to the arcade era, fast-paced, twitch-gaming kind of experience. Obviously, it has lots of reference points to [games like] Contra and Gunstar Heroes. Then, visually, we wanted to capture the aesthetics of our favorite childhood cartoons. It’s a mix of old school gaming and classic 2D animation. What was the inspiration behind making the game? So we always wanted to make a game… but this wasn’t the first time we had tried. [Around the] early 2000s, we were working on a similar type of game, but we could never get traction. We had a skeleton of the game and knew where we wanted to go with it. Time passed and we reached a point where we were more established in life. We could sit down and put our best into it, which we weren’t able to do before. We were like, “Let’s give it one last shot.” It also stems from games being our primary source of entertainment. What made you guys decide on the 1920s/30s animated art style? That just happened to be our favorite art style. There used to be VHS bins at grocery stores, and I think [Silly Symphonies] was like 99 cents; our parents just happened to buy them. I don’t know why we gravitated to it, but for some reason they really spoke to us. We liked the silliness and vibrancy that was kind of further away from reality. Did the gameplay evolve from the art, or did the art evolve based on the gameplay? We started with the gameplay, and were pretty confident we could utilize any type of art style – we just had to get the gameplay right. When it came down to choosing the visuals, we knew we wanted to do some form of traditional art style, but not necessarily hand-drawn animation. There were a hundred different [art styles] that we’d tried at that time. Then, we started thinking what if it was exactly a cartoon? What would that look like? At what point did you guys decide that you were going to do hand-drawn animations for the whole thing? Was there ever a point where you felt like maybe it was too risky? I think it was basically the minute [co-founder, brother Chad] taught himself how to animate and we had a walk cycle done. When we saw it in motion, there was no turning back! As for fear, I think we were just too into it and too focused. We were like, “We will get this done. It’s probably way too much work… we know we’re a little bit silly.” It’s such a crazy thing for your first game. We figured, if we love the visuals, there’s got to be an audience for it. Make the best game that we can, because this could be the one and only game we ever make. SO, why not make it exactly what we want? What advice would you give someone looking for a career in the video game industry? Expect failure. That’s really the best advice I could give. A lot of the time people think that their first idea is going to be ‘the one’ that gets them through the door. You’re going to make mistakes and you’re going to be better at making the next game by learning from what you did during your first approach. Try to do smaller projects and see where it goes. Also, make something that you love; it’s a long process, so if you’re not truly into it, after a year, you’re going to be breaking down and thinking how do I finish a game that I never truly enjoyed? Cuphead launches digitally for Switch on April 18. A physical version will follow sometime later.